As both a parent and a teacher, I tend to be obsessed with the way children treat each other. I often say that if we could just succeed in teaching kindness - that would be a job well done. If I had my say, the education department’s state standards for grades K-2 would be based entirely around empathy and social skills - with a very strong focus on story time. It’s my opinion that the way we connect with each other and treat other creatures is a big part of the meaning of life, and the secret to happiness. Sometimes parents and educators both lose sight of that in the name of success. We emphasize the wrong priorities (being the smartest and winning) from a very young age, and empathy has taken a backseat for far too long. Interestingly enough, being pleasant and personable is a surefire way to build the types of relationships that will help you succeed in the end anyway. But, simply being about kindness is not the only criteria for this list. Not only are these books good at teaching empathy, they are also all bona fide “forever” books. What I mean is that we love them so much, they will always have a permanent home on our shelves. They are some of our very favorite books, period. For the sake of maintaining the integrity of our recommendations, this is simply a prerequisite. We like to use these books for story time with our kids and place ourselves in their hypothetical situations. What would you do if that happened to one of your friends? How would something like that make you feel? What should you do if you see a bully acting like that? Books like these are practice for the real world. And, because these wonderful artists created these stories, children all over the world, including mine, will be better prepared to relate to others and choose kind in their own lives. Disclosure: Some of the links in this post are affiliate links. The links of titles and images will lead you to view the books’ listings on Amazon.com. Auggie’s story in Wonder is a real tearjerker. Just the movie trailer is enough to make me cry. Auggie is described as an ordinary boy with an extraordinary face, and all he wants is to be seen for who he truly is. It’s a sad state of affairs, and you might not want to believe it, but children actually need the following lesson directly taught: you should not make fun of others because of their appearance. 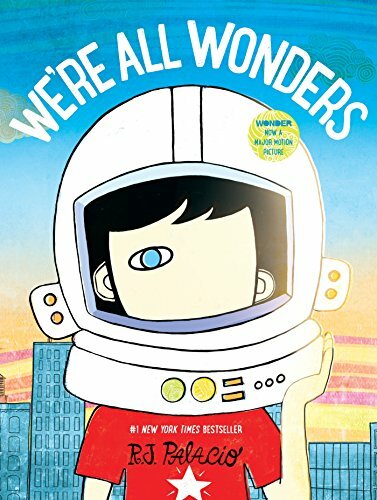 We’re All Wonders is one of those books that’s a little hard for me to read out loud without my voice quivering. Even if you are a perfect role model, your children will inevitably be around other children for a significant portion of their lives. And let’s just say that other children don’t always have the best role models. It can take monumental amounts of courage to stand up to bullies. It can be the easiest thing in the world to ignore it when someone is bullied, or even to follow the crowd and join in. But it takes true bravery to do the right thing and be the kind heroes we should all want our children to be. 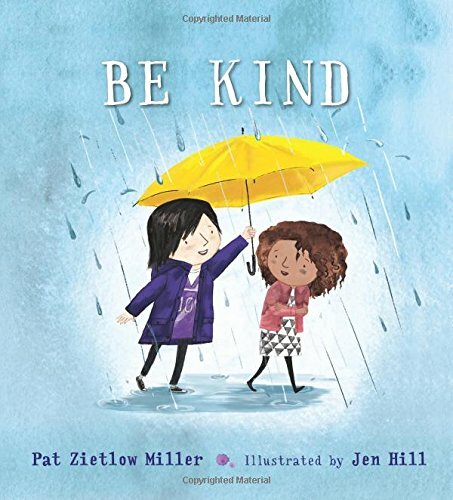 Be Kind is a sweet book about a very kind-hearted girl who wants to help when a classmate feels embarrassed. Tanisha spills grape juice all over her dress, and another little girl ponders how to make her feel better. She has lots of ideas, like letting her borrow a sweatshirt or pouring grape juice on herself. The idea she settles on is pointing out how purple is her favorite color, but that doesn’t seem to help. The point is how awesome it is that this other child is so obsessed with making someone else feel better. Lots of the ideas for kindness are humorously specific, but that’s what gives the story so much character. It’s endearing and it makes us start to think of all of the specific ways we can show others in our lives that we’re thinking about them. The Story of Ferdinand isn’t just a wonderful lesson about how others might have different feelings and priorities than you, it’s also a brief glimpse into our troubling relationship with animals on Earth. 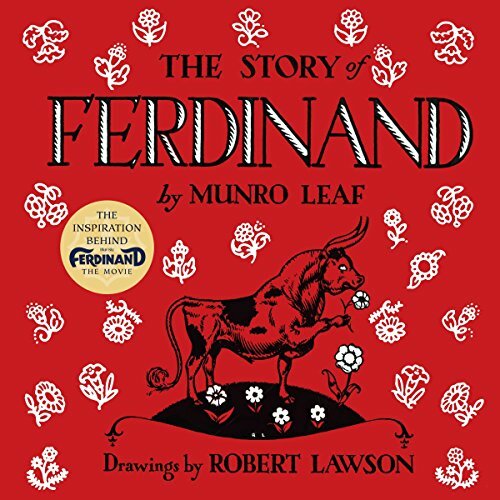 I believe in building empathy for all living things, and Ferdinand is certainly one of the very best books for it. Ferdinand isn’t interested at all in being strong and aggressive like all the other bulls. He has absolutely no interest in fighting against the matadors. All Ferdinand wants to do is relax and smell the flowers. But one day he’s recruited to go fight in a bullfighting ring. There’s really a lot going on here in this story - but perhaps feeling different than others is chief among them. This classic tale from 1936 brings up a lot of interesting feelings and lessons for kids. It’s important to remember to let people be themselves. And Ferdinand is a beautiful dive into the feelings of other creatures on Earth. I love a good wordless picture book. It’s pretty special to hear the descriptions of the story from your child’s point of view, and it’s very heartwarming to realize that they completely absorbed the message through the pictures alone. 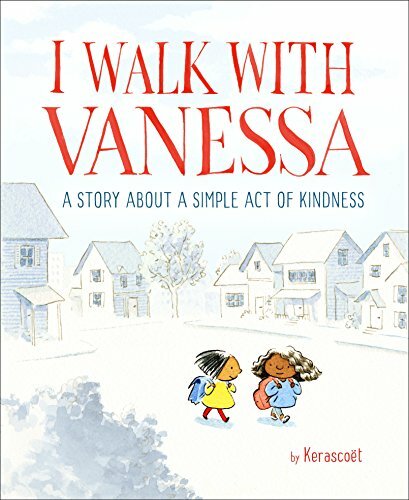 I Walk With Vanessa is a story about a new student in class. On the very first page we see her moving into her new home with her family. With this simple snapshot of her life, the lesson in empathy has already begun. We already know more about Vanessa and her life than anybody in her new class takes the time to think about. Vanessa is clearly very lonely in her new school - feeling left out and sitting by herself. And then it gets much worse as she has a run-in with a bully. But another girl witnesses the whole thing and goes home to reflect. The next several images are the highlight of this book by far. This girl was clearly deeply affected by what she saw. You can see the wheels turning in her head. Try asking your kids what they think she’s thinking about. The next day - what she ends up deciding is a beautiful thing. 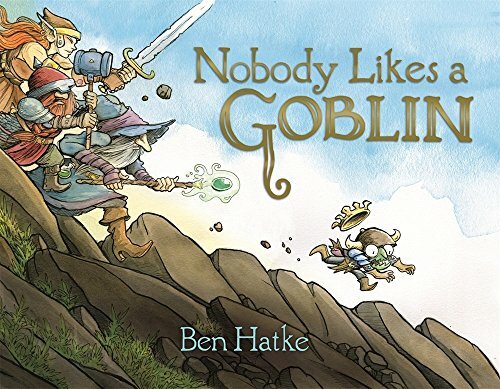 I’m a real sucker for fantasy themes and Ben Hatke has proven to be capable of scratching that itch better than any other picture book author. If you’ve ever played a video game or a board game where the goal is plundering the dungeons and fighting the goblins and taking home all the treasure - what you get here is a reversal tale. You “heroes” never considered that the little goblin whose home you plundered is now sad and alone, did you? Well afterwards Goblin sets off on his own brave quest to rescue his best friend, Skeleton. Along the way he encounters a lot of prejudice towards goblins, but he persists undeterred. It’s truly a remarkable work of art and easily lends itself to conversations about misperceptions and prejudice. Developing deep and meaningful friendships requires true empathy. Such an important lesson. Friendships like that simply don’t happen in selfish relationships. In this way, Amos McGee is perhaps the best role model I can imagine. As a lover of animals, of course I’m a sucker for the concept that all of Amos McGee’s friends are animals from the zoo, but ultimately that’s besides the point. This is a study of true friendship, regardless of species. What do you do when a friend is sad, and why do you do it? You go out of your way to make them happy, because you know what it feels like to be sad and you care about other people’s feelings. Amos McGee is always there to take care of his friends and spend time with them every day. 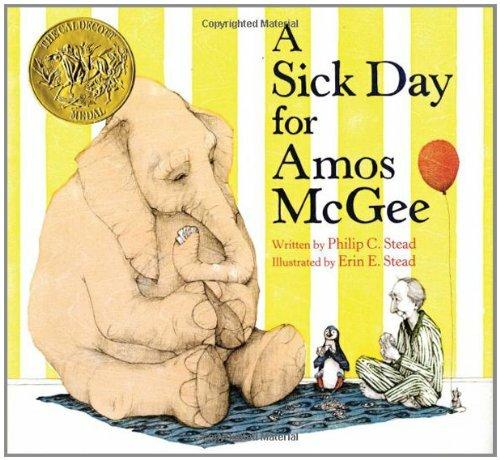 But when Amos McGee is sick in bed, his animal friends come to visit him at his home and take care of him. It really is heartwarming, and really beautifully crafted. If that’s not all you need to hear to know you need this book, I don’t know what to tell you. 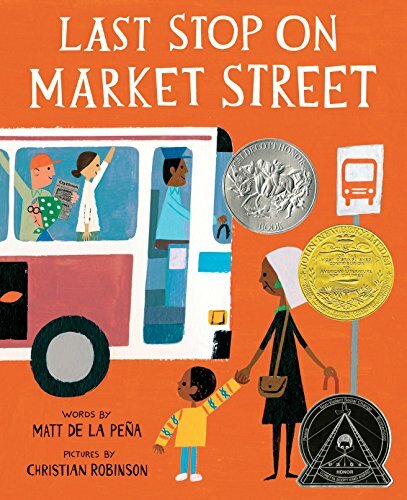 Last Stop on Market Street teaches children empathy in many ways. It’s like going people-watching with the kindest soul you can imagine. Children learn to appreciate what they have, and how to identify the things that really matter in life. And, in the end, children get to explore the importance of thinking about others and giving back. I have one request for you. Ask your children if there are any invisible kids in their class. The idea of a child going all day feeling unnoticed and uncared for is heartbreaking. And the worst part of all is how many people are complicit in the whole thing - whether intentional or not. The Invisible Boy is the masterclass lesson in empathy for both adults and children alike. After you read this triumphant tale of Brian being rescued from invisibility by a caring boy, your children will be well-equipped to notice those around them who might need a friend. 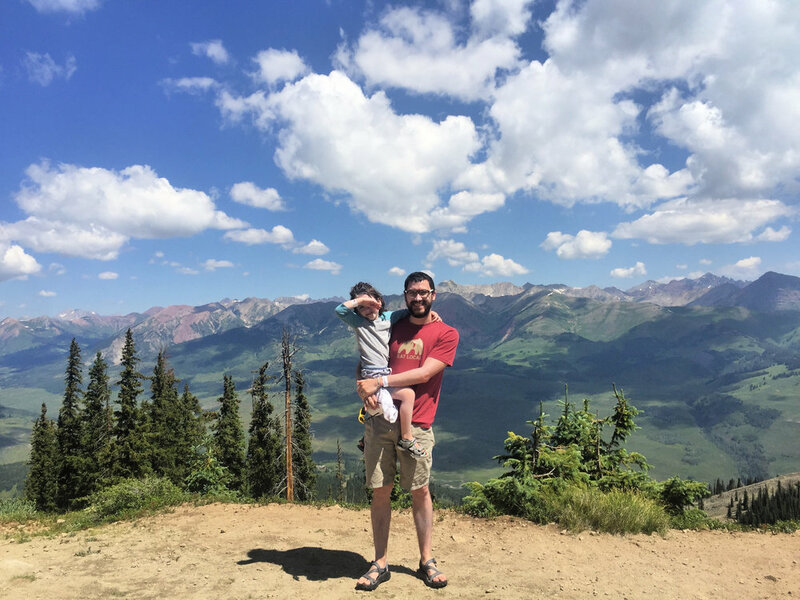 This story has a powerful message that can bring a tear to your eye, but it goes to show how important it is to teach our children the magic of empathy. 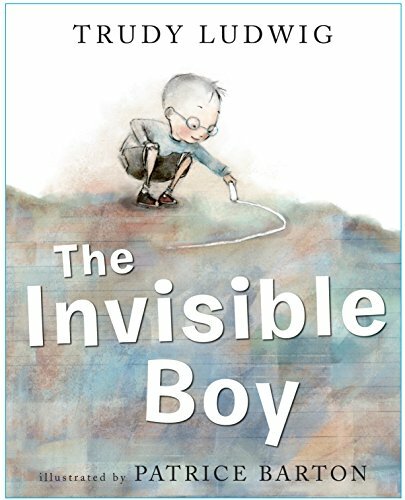 You can read our full recommendation of The Invisible Boy here. What do you think the best way to teach empathy is? Have you read any of these books with your kids yet? Did we miss any of your favorite books about kindness? Let us know in the comments.